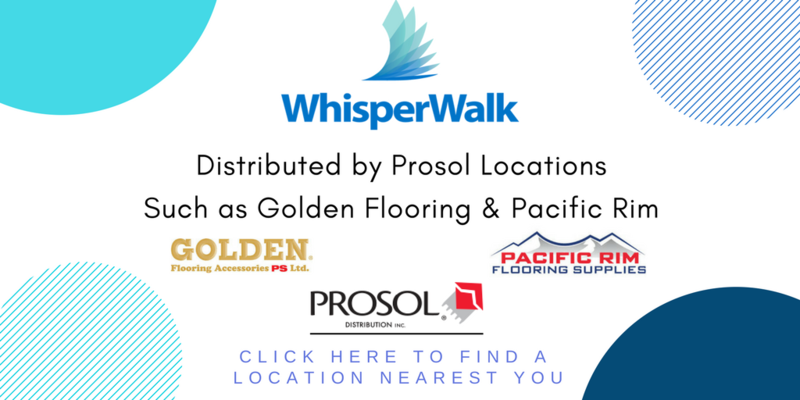 Whisper Walk Foam Underlayment - Jona Panel Sales Inc. - Jona Panel Sales Inc.
2.5 mm in both 100 and 500 square foot rolls currently available at Prosol locations. 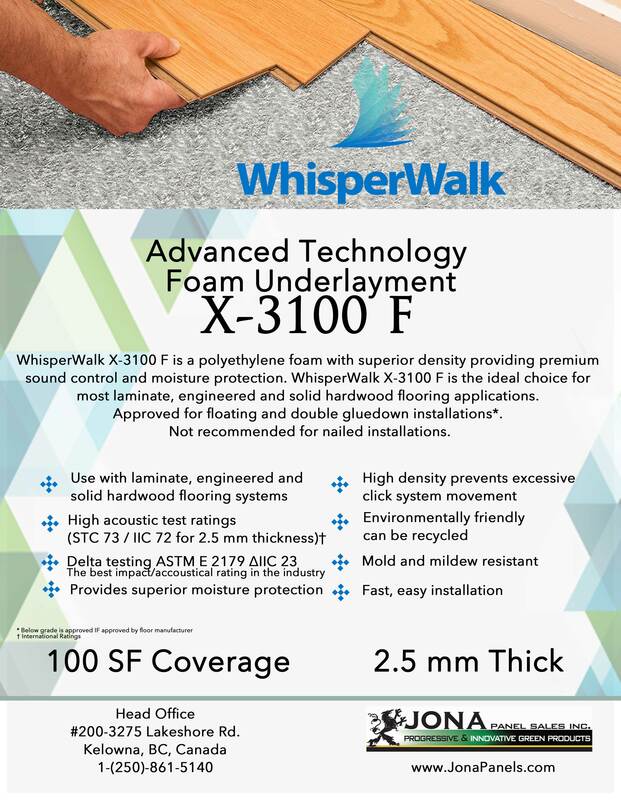 WhisperWalk 3-in-1 Underlayment is the right choice for laminate flooring, engineered wood, and rigid click vinyl plank and tile. 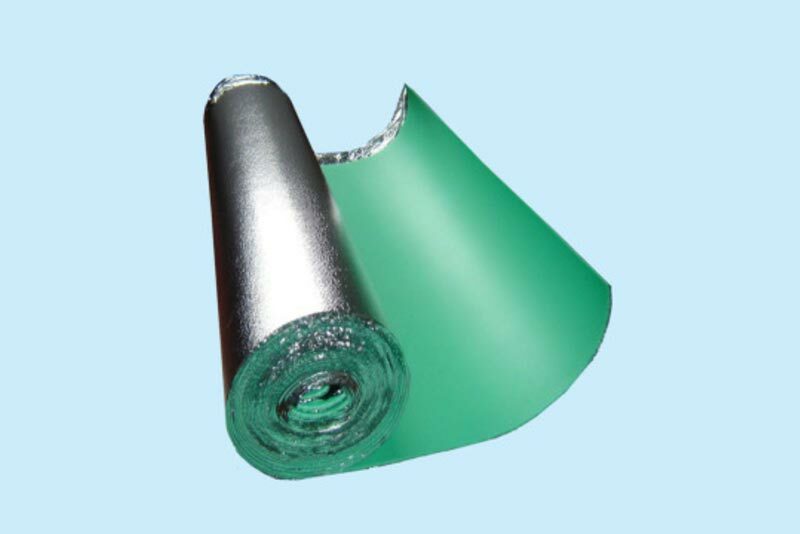 Do not use under sheet vinyl or other soft backed flooring materials. WhisperWalk is constructed with 3/32” polyethylene foam and a 2 mil thick foil film. It provides excellent sound reduction and moisture vapour control to protect your beautiful finished floor. 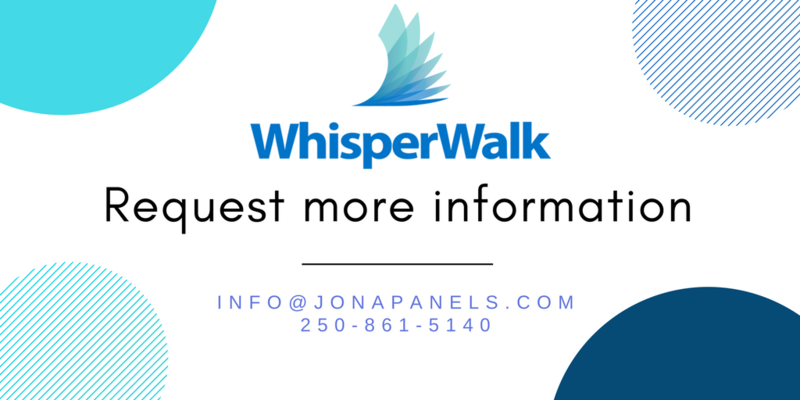 WhisperWalk is approved for on or above grade installations*. 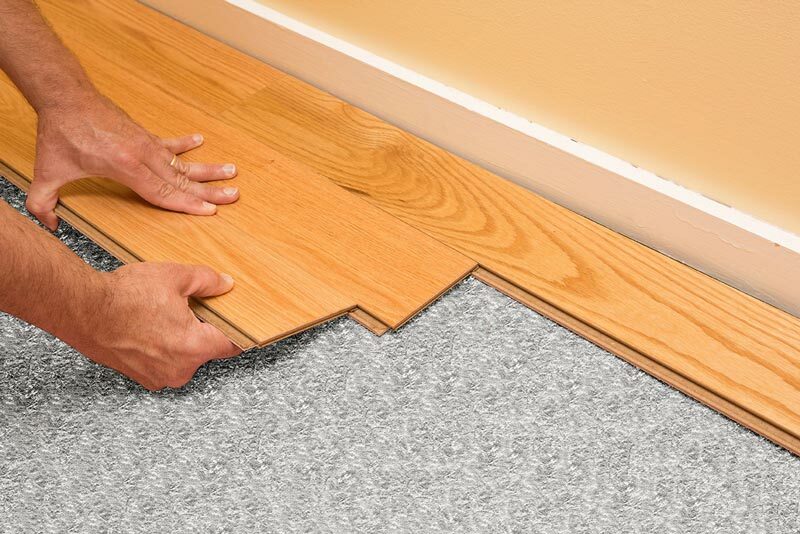 WhisperWalk is easy to install with a plastic overlap and adhesive strip to join multiple rolls. Delta Rating ∆IIC 23 - We have the testing to prove it! STC 73 / IIC 72 *See assembly.